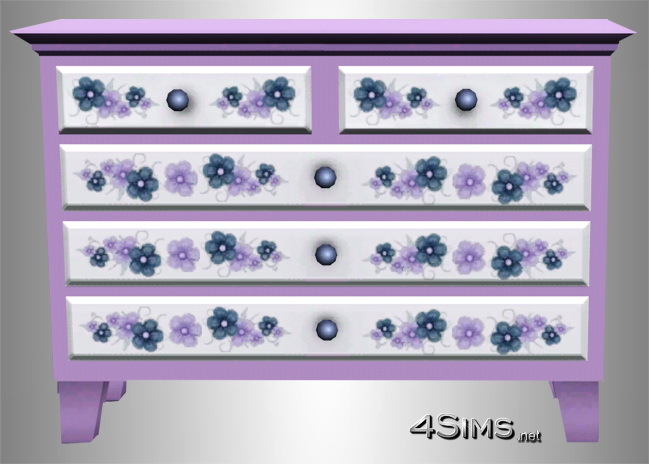 Hand painted dresser with floral motifs for Sims 3 game. 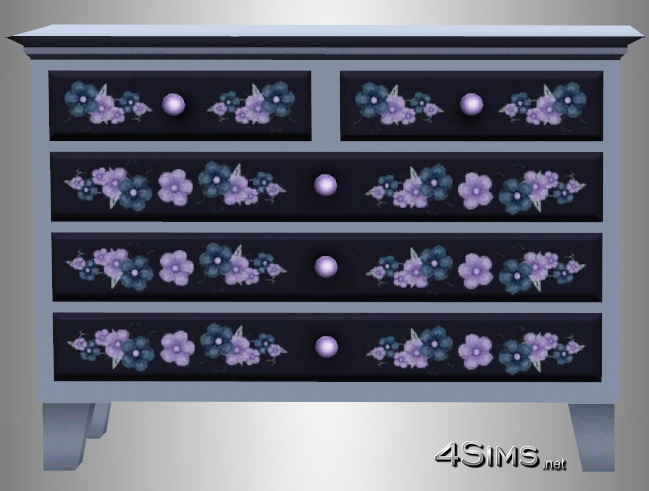 3 recolorable channells, base game compatible, fully functional (tested). 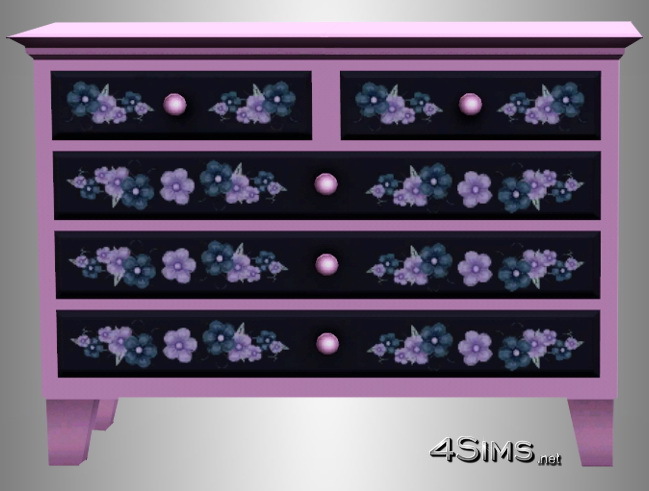 Not for sale, it’s a digital creation for The Sims 3 game.